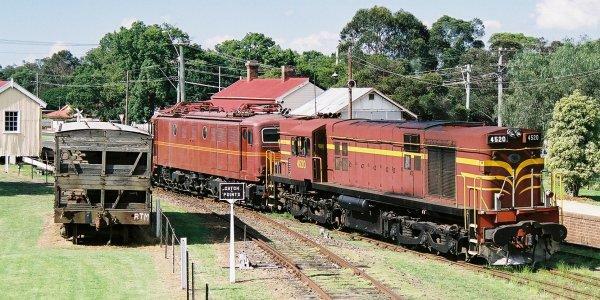 The 45 class was built by A. E. Goodwin Ltd. 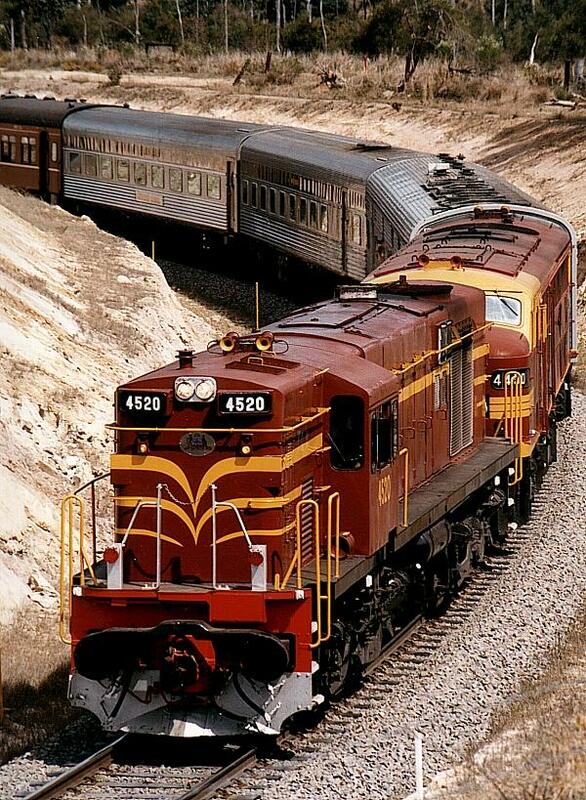 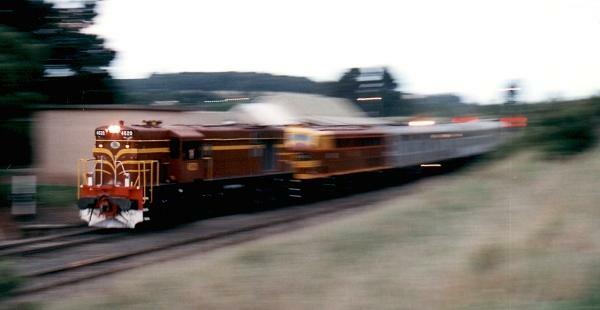 The first unit was in service on June 5th, 1962. 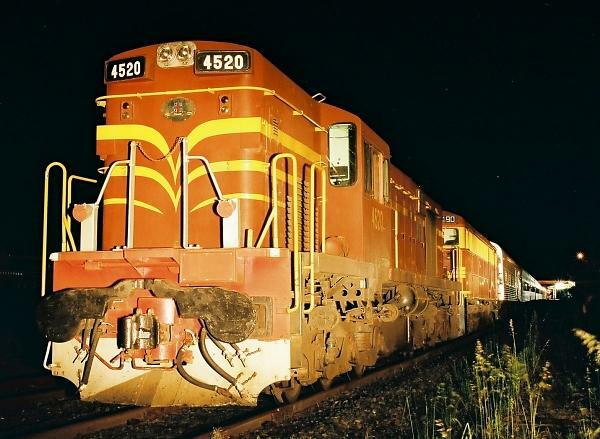 There were 40 units in the class, numbered 4501-4540. 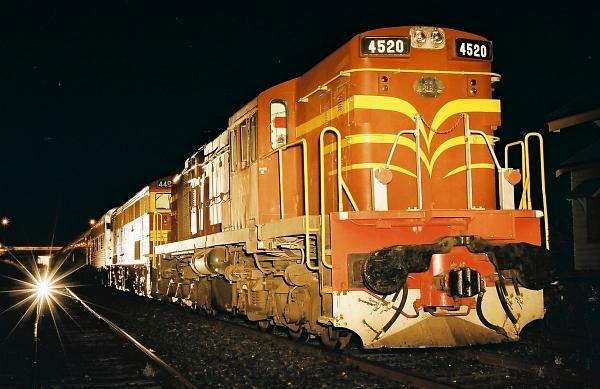 Some were modified to improve crew conditions, and these were renumbered to the 451 class, then again later to the 35 class. 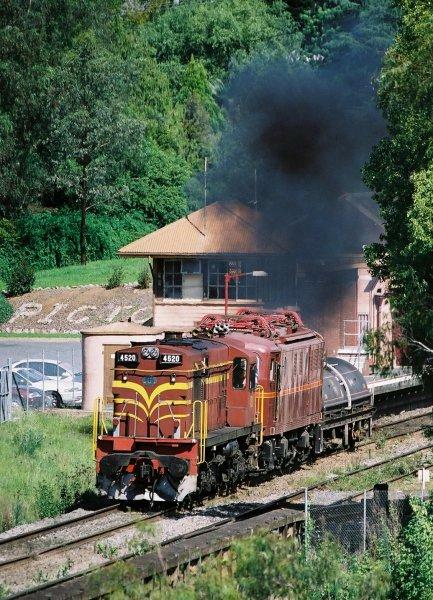 They have a V12 turbo-supercharged 4 stroke Alco 251C engine. 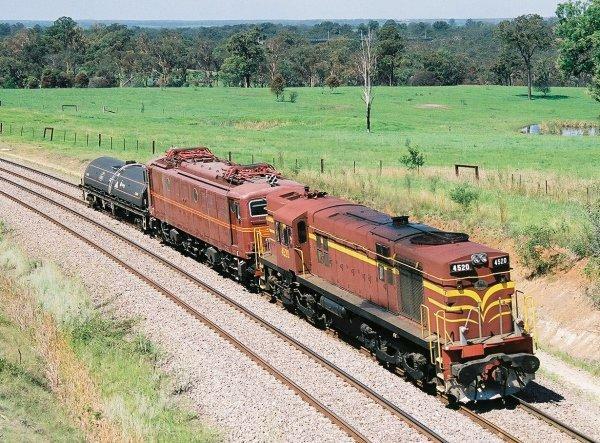 They weigh between 112 tonnes and have 1800 HP available for traction. 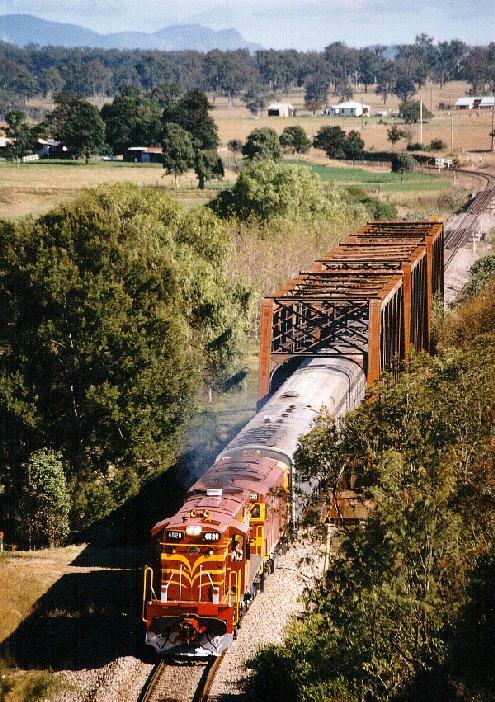 4520 hauls 4638 to Thirlmere, seen here near Maldon on March 2nd, 2002. 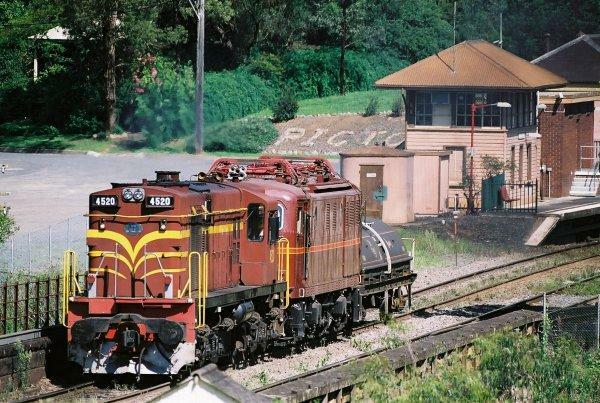 4520 hauls 4638 to Thirlmere, seen here at Picton on March 2nd, 2002. 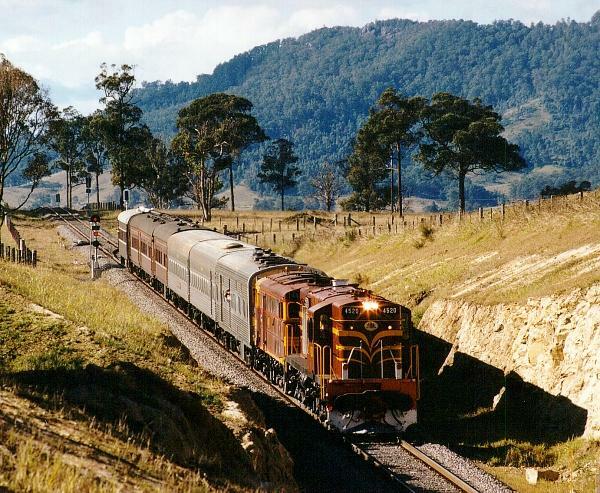 4520 hauls 4638 to Thirlmere, seen here near Thirlmere on March 2nd, 2002. 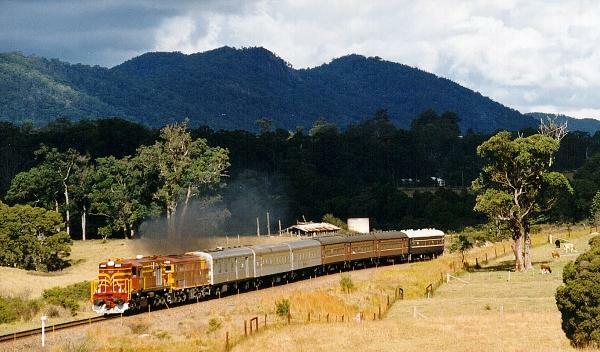 4520 hauls 4638 at Thirlmere on March 2nd, 2002. 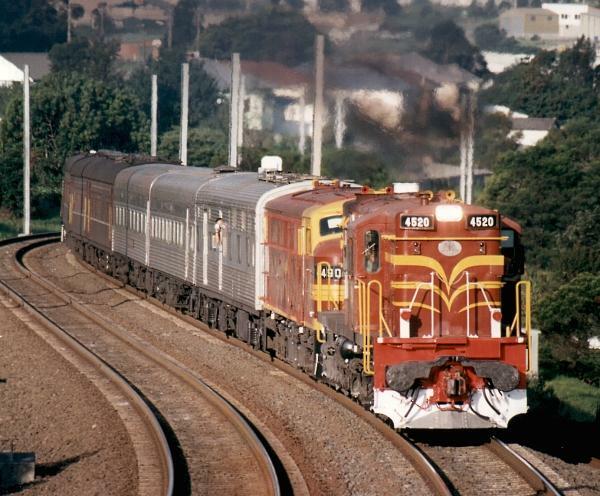 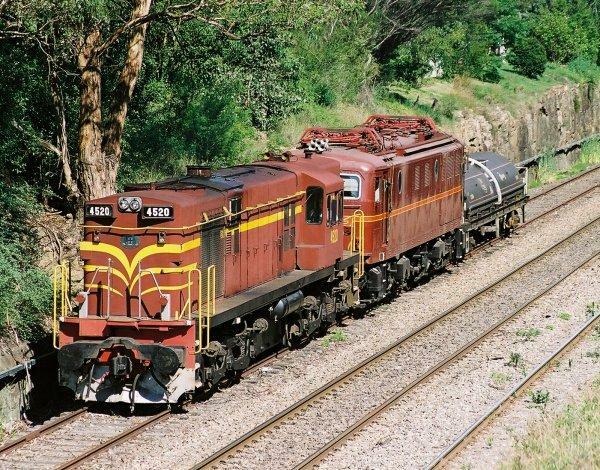 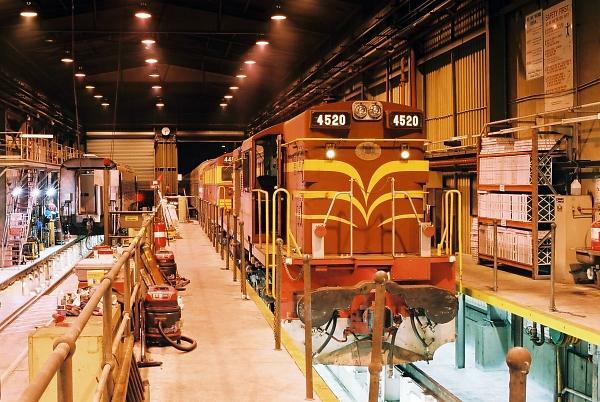 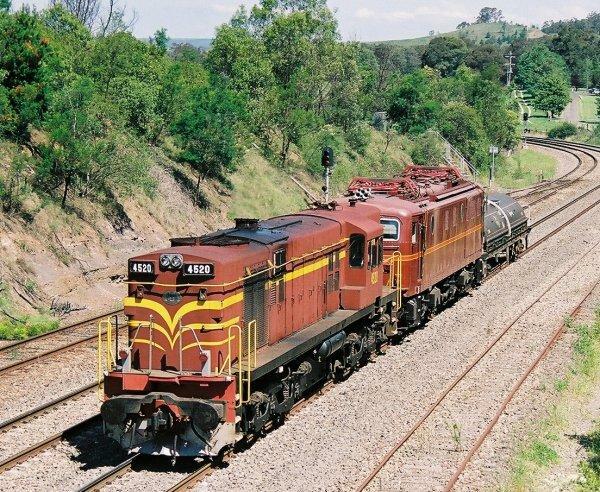 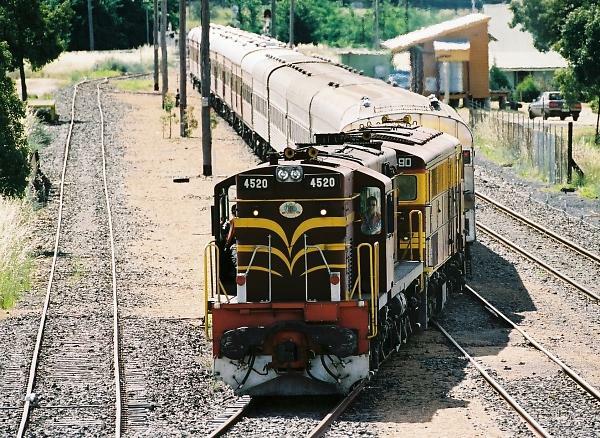 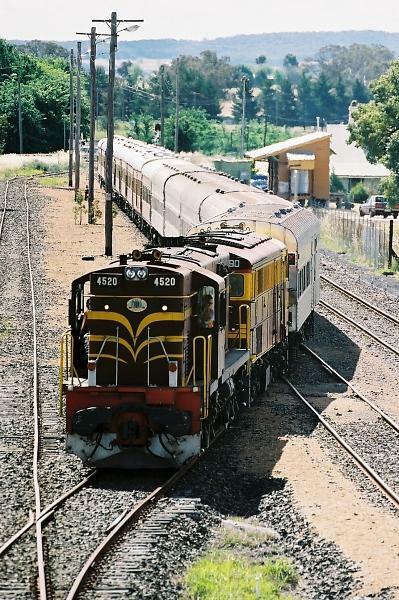 4520 & 4490 take fuel at Broadmeadow on an ARHS ACT tour on November 10th, 2001. 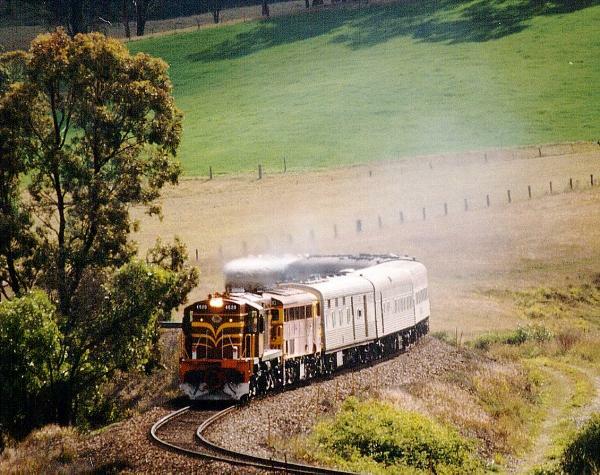 4520 & 4490 shunt at Broadmeadow on an ARHS ACT tour on November 10th, 2001. 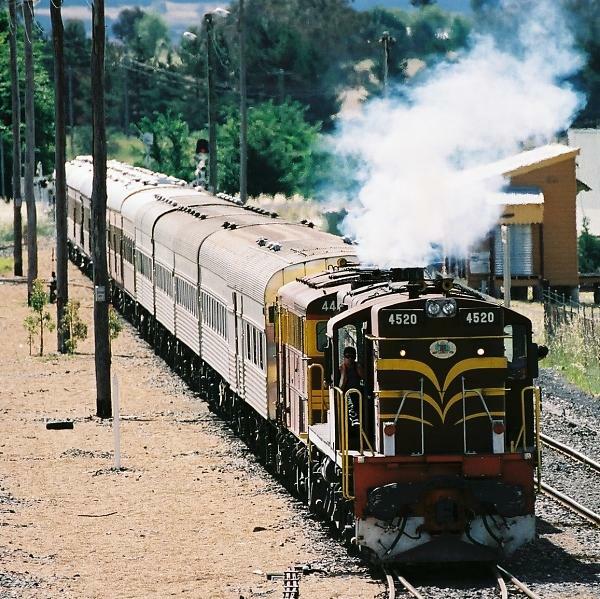 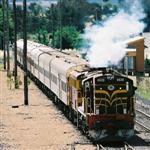 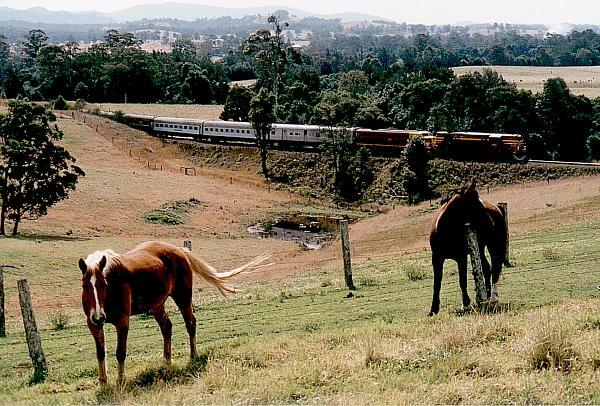 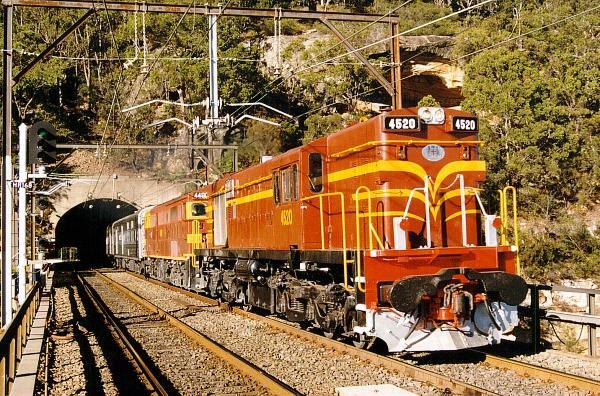 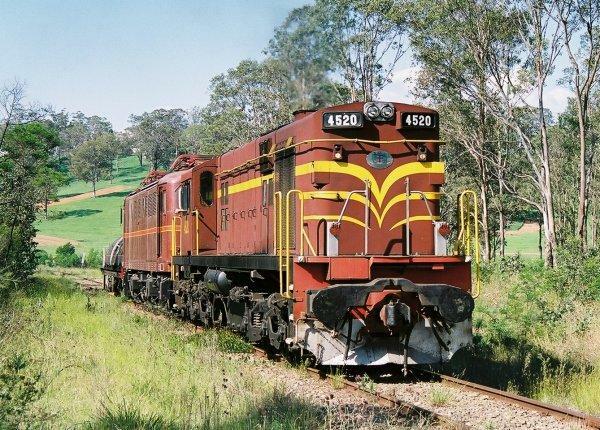 4520 & 4490 depart Gulgong on an ARHS ACT tour on November 10th, 2001. 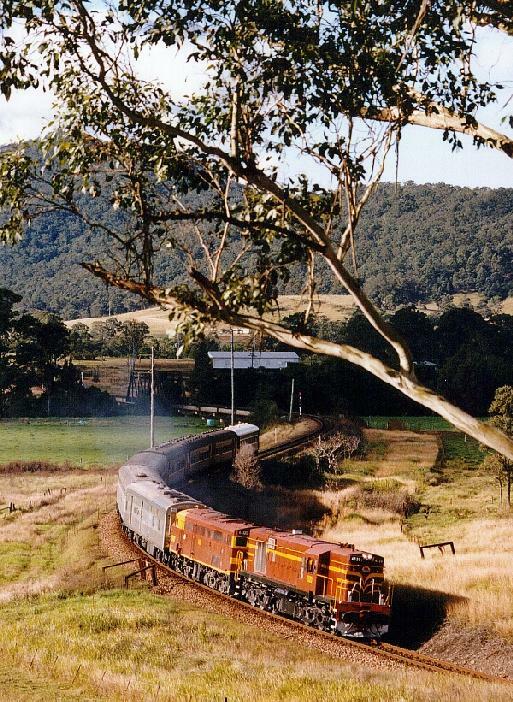 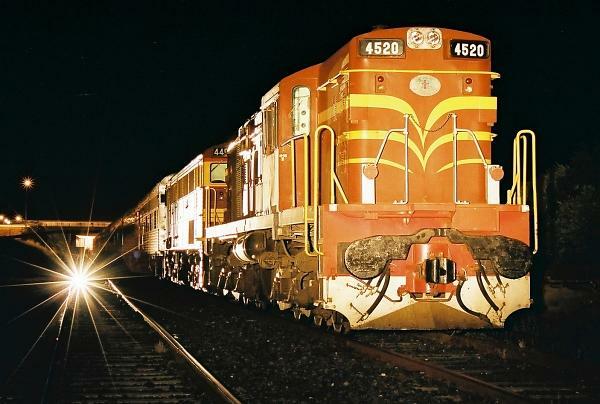 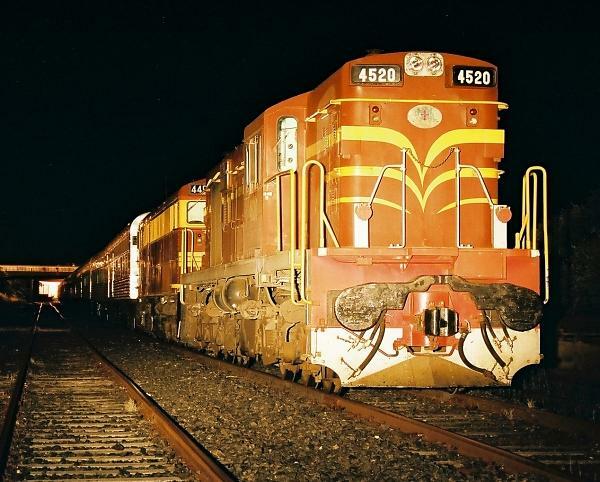 4520 & 4490 stand overnight at Mudgee on an ARHS ACT tour on November 11th, 2001. 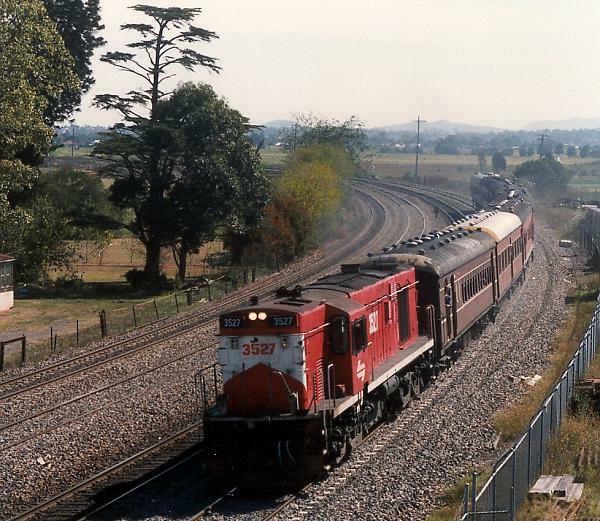 3527 hauling an RTM special, NL38, into East Maitland on April 21st, 1991. 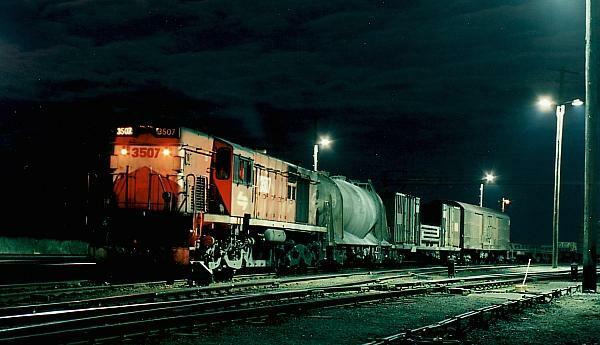 3507 ran solo on 6372 Freight in the early hours of September 27th, 1993 from Grafton to Broadmeadow, pictured in Grafton Yard at 02:00.